Charlotte Christian. Aged 11. 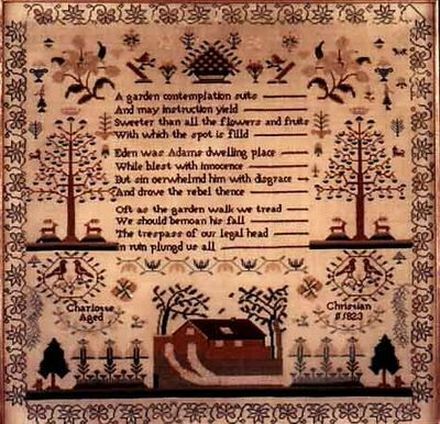 Precise and symetrically worked sampler in coloured silks on fine cream wool background. Dated 1823. In old maple frame.